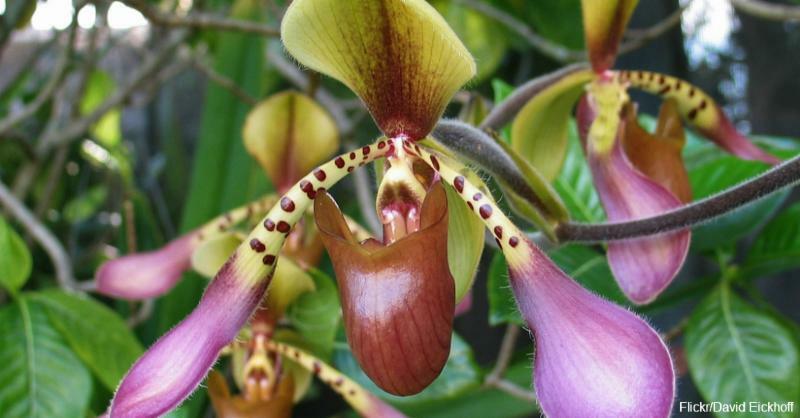 We came across this informative article about orchids on therainforestsite.com. 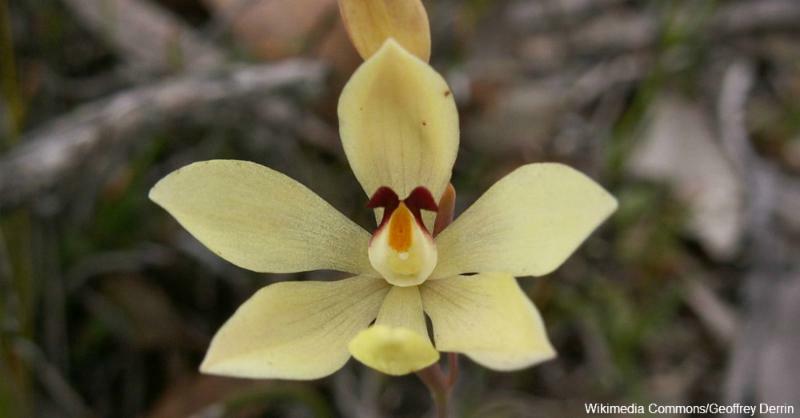 There's one species of orchid that blooms exclusively in the dark. Bulbophyllum nocturnum blooms after the sun goes down for a single night and dies by morning. Indoor plants are wonderful additions to any home or office spacebut making sure they are watered when needed, getting enough light, and constantly cared for, can prove to be a challenging task in today's busy world. Fortunately, there are some really hardy indoor plants out there that are easy to keep happy, healthy, and green in your workspace. Choosing the wrong plant for a specific indoor environment is one of the most common mistakes we come across. 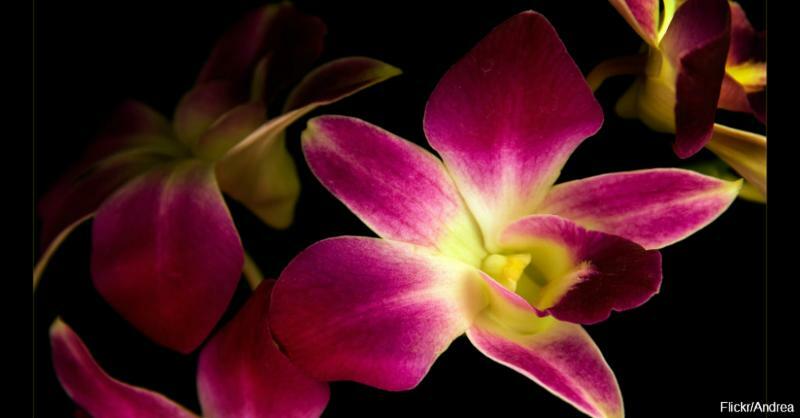 You must choose the plants that will be able to thrive and withstand the challenges your specific indoor environment. You must also consider how much time you can spend caring for your plants before choosing them. 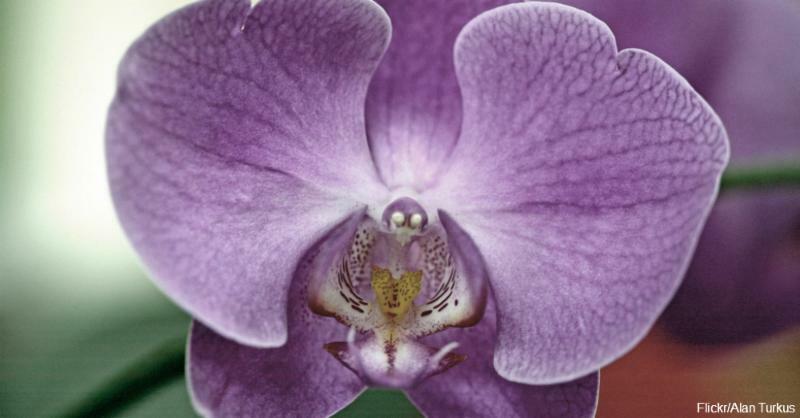 Here are the top five indoor plants that are forgiving and easy to care for. 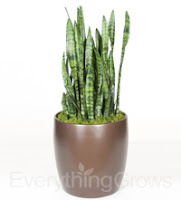 If a prize were to be given out for the most tolerant plant, the Sansevieria, commonly known as the Snake Plant or “Mother-In-Law’s Tongue,” would be one of the frontrunners. These plants may be neglected for weeks at a time and still manage to look fresh. 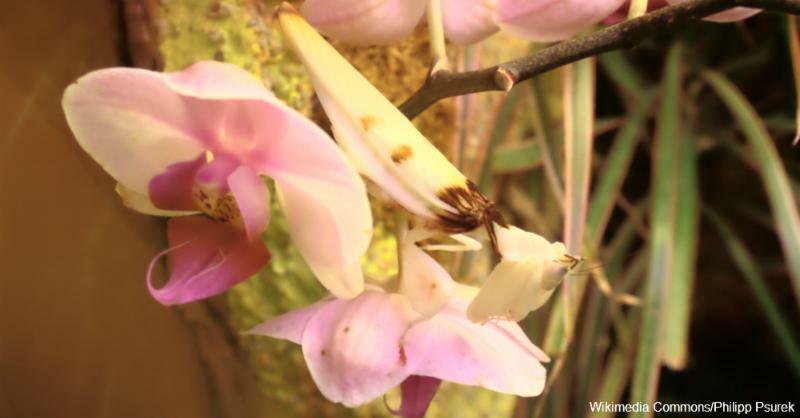 They can survive low light levels, droughts, and have very few insect issues. The glossy and geometric leaves of ZZ Plant, or Zamiocalas Zamifolia, bring warmth into any room. The selling point of these beautiful indoor plants is that they actually thrive while being neglected and are impervious to a large majority of pests that may afflict other plants. ZZ Plants blend perfectly in both contemporary and traditional homes and make for stylish additions to any office space. 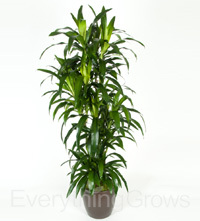 As one of the most popular indoor plants, the Dracaena, or cane plant is one of the easiest plants to care for. These hardy plants thrive in indirect light and maintain their look for years. Their long green leaves will breathe life into a room even when they are forgotten about for a while. Dracaenas come in a wide variety of sizes and different leaf styles, giving you many choices to match your style. 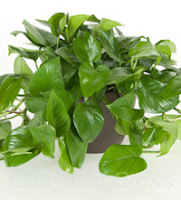 The Pothos is actually one of the easiest plants to grow. It is a fast growing vine that can tolerate low light. It is easy to start a new plant by placing a cutting in water. 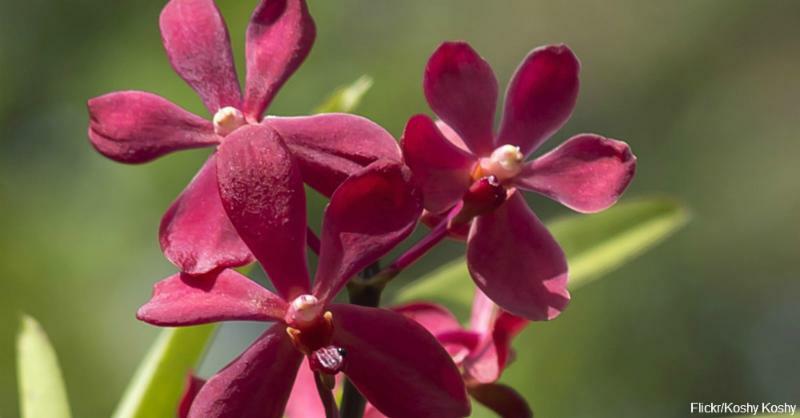 They can tolerate a lot of unintentional abuse, which makes them an excellent choice for those with a tendency to forget about their indoor plants. 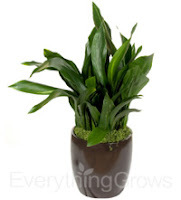 And lastly, we have the Aspidistra, whose nickname is the 'cast iron' plant because it can withstand a lot of abuse including poor lighting and infrequent watering. They are popular as indoor office plants because they require a small amount of care. 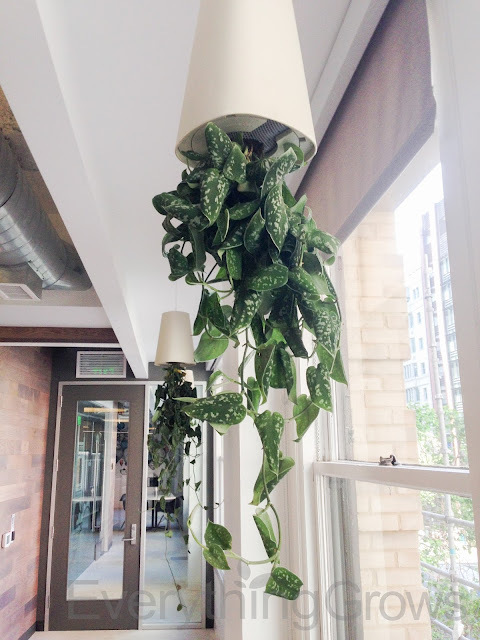 The Beaux-Arts Group has posted another great blog on the latest trends for the office this year and we were delighted to see that it included indoor plants! “A look at the hottest office trends of 2016 gives us a sense of how firms are adapting to meet the needs of mobility and better attract millennials while keeping an eye on efficient use of real estate space. The beginning of the year is a great time to assess the office landscape and determine whether improvement to layout, materials, or color might have a positive impact on your company. As design executive Joan Blumfeld notes, it’s critical in today’s work world to embrace flexibility. It’s clear that employees will thrive when they are given access to different types of spaces, especially if the general layout is an open floor plan. You also want to generally consider access to natural light and plants as well, since both of those elements have been proven repeatedly to improve mood and cognition. Other than those basic parameters, what office trends do designers believe will be particularly dominant this year? In an office setting, you can end up with electronics cluttering up the feel of a space if you aren’t careful, notes designer Scott Lesizza. “Between wires, laptops and other electronic devices, to docking stations, paperwork and personal items, there are many things that can make a room full of open desks appear very disorganized,” he says. Consider choosing furniture that pays special attention to concealing these elements. The patterns on materials are becoming increasingly natural. Businesses are also starting to install more living walls so that plants are built into the environment more prominently. Plus, in the interest of employee comfort, designers increasingly want office space to feel like home. What about color? You may be familiar with the notion of a statement piece in jewelry: often a necklace, this piece draws the eye and gives the general look of an outfit a natural focal point. Jewel is used by many designers in a similar manner, as a sort of “statement color” to draw the eye and give an otherwise neutral room a more high-end ambience. Many offices are introducing smaller areas for discussion. These alternate areas to which people can go to escape the din of the open office are considered necessary by many professionals. “Private booths and other innovative work spaces are increasingly popular for one-on-one collaboration,” explains Inc.
Everything Grows has completed the certification renewal process for the Bay Area Green Business Program! 4. We optimize our service routes to minimize our carbon footprint. 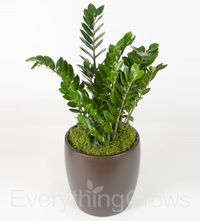 Are you in need of beautiful living plants to help 'green up' your work space? 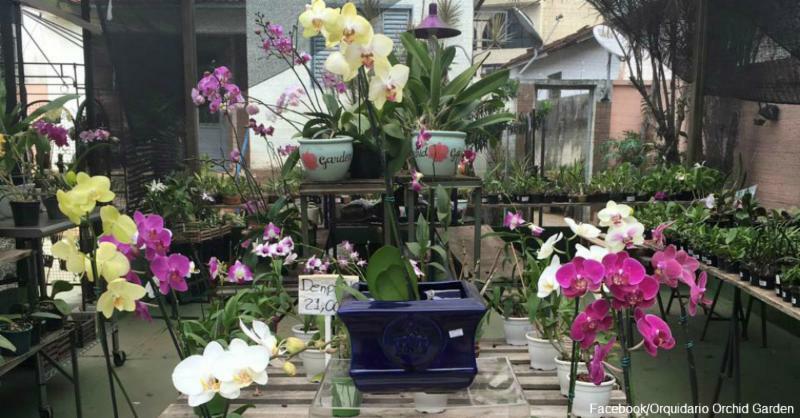 Everything Grows Interior Landscaping provides indoor plant service, sales, leasing and long term rentals throughout the entire San Francisco Bay Area.